Today, as part of its communication for the “Beauty for All” mission, the L’Oréal group leverages social networks. 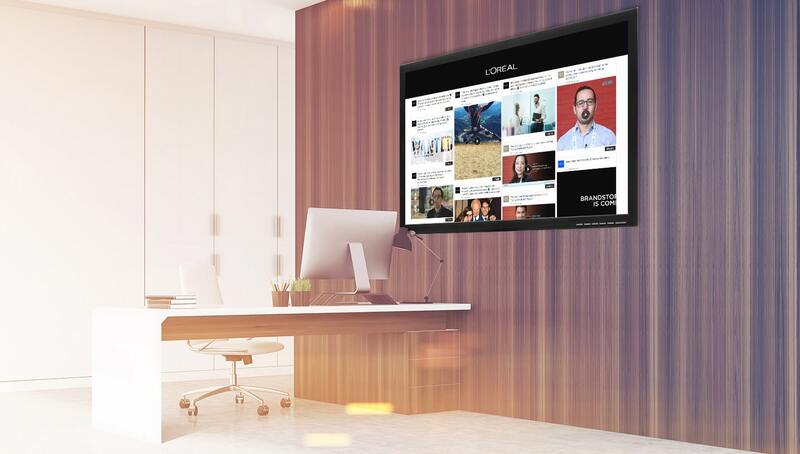 And in order to optimize the visibility of content and give fans an easy way of sharing it on their own social networks, L’Oréal has implemented an innovative evolution of the Sociabble platform: the Social Wall. Easily embedded on any website, the Social Wall aggregates all content from the company’s corporate social streams on a single, self-refreshing interface, providing an additional window into the social media content that is published every day. Open to all site visitors, this interface allows users to view all the latest L’Oréal news and events (including posts with visual content) and to share posts on any of their own social networks from the same platform. The Social Wall therefore enables L’Oréal to amplify its existing visibility and drive social media activity directly from the company website. Like all forms of Sociabble, the Social Wall provides rich analytics for sharing activity, allowing administrators to identify the social networks on which site visitors share the most content and the posts that generate the greatest user engagement. The power of social media and the influence of its users is huge; consumer interactions are now the driving force behind brand-oriented conversations. That’s why the Social Wall by Sociabble makes it easy for social media users to engage with brand content, and for companies to tap into the ever-growing influence of their biggest fans by empowering them as brand advocates. Like this content ? Fill in your details to receive the full case study in PDF format.